Now that we are approaching the fall and winter season, it is time to get some pest control going as any and every insect is searching for warm and food. I am mainly concerned about spiders in this post as spiders are the type of arachnid to hurt us or our children. 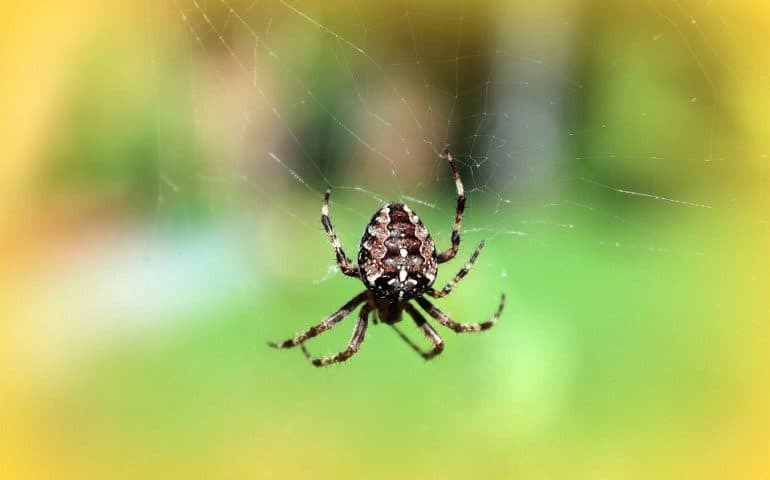 When it comes to worst time of year for spiders, this is the time when they are active and searching for food and warmth. 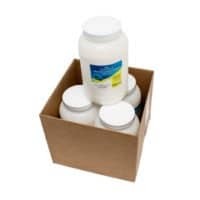 Many ask if diatomaceous earth is affective against spiders and yes it is! They are no match for this natural spider repellent product and will be deterred from crawling in it or even being around it. 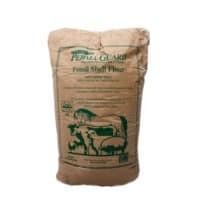 Diatomaceous Earth has the ability to get stock on the outer shell of an insect and when it moves, the product will irritate the shell or skin and eventually dehydrate the insect to death. Sounds like a great way to make a spider go! So let us move to how to apply this stuff to keep them away. Inside your home, focus on dark and damp areas of your home and mark them with sticky notes. As an example, your bathrooms, basement rooms, and any utility rooms. Outside your home, focus on entry ways to your home and mark them with either sticky notes or flags. Examples would be your entire foundation and entry ways into the home like your doors, garage, and windows. Please first apply in a ½” thick application around the locations that you marked outside and also inside. Basically for the outside you may apply to window sills and by the door and around the entire foundation. Inside you want also apply about a ½ thick application to the locations you marked. Focus on baseboards and wall outlets inside. You may use our pest pistol powder duster to get into those hard to reach locations. As for the corners of rooms and such please apply to those locations as well. Please leave application outside for 7 days and then reapply. Please leave applications inside for 7 days and then clean and reapply to the same locations, in the same fashion. Repeat if necessary and please continue until the first real heavy frost. 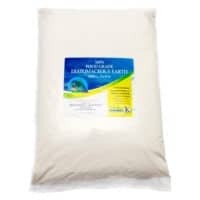 Diatomaceous Earth Natural Spider Repellent will help in getting rid of spiders and other insects from entering your home like they used too! You will feel safer knowing you don’t have to go around searching for the spiders! Take care this fall and winter and get rid of those pesky creepy crawlers. 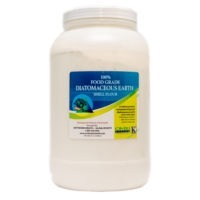 We offer food grade diatomaceous and crawling insect control diatomaceous earth at wholesale prices! Feel free to contact our dedicated customer service and sales team at 1-800-228-5836 and we are happy to help you in a timely fashion!